Do you want to earn some money and penny from Facebook?, now you can, Facebook has started a program called "Bug Bounty or Bug Spotter" it’s a program which Facebook has started three weeks go with an initiative to make security more strong and to avoid security flaws of a website of 750 million users. Facebook invites all security researchers including professional and also hacker hobbyists’ persons to come and hack Facebook website. Facebook wants you to Hack and Trace all security majors and find security flaws within website and if you are able to find it than you can send details of that particular hacking to Facebook and Facebook will pay you at least 500$ at startup and more. 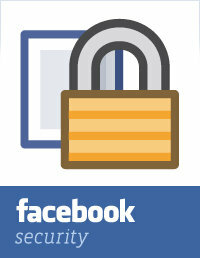 Facebook said this week that that it has paid out more than $40,000 under its new "bug bounty" security initiative. "We've already paid a $5,000 bounty for one really good report," Facebook Chief Security Officer Joe Sullivan wrote in a blog post. "One person has already received more than $7,000 for six different issues flagged." "We realize, though, that there are many talented and well-intentioned security experts around the world who don't work for Facebook." Although the social networking has its own security team, Facebook launched its bug bounty program to tap into the collective wisdom of the site's 750 million users. Researchers from more than 16 countries have successfully submitted bounty bugs, Facebook said. Its public "thank you list" names dozens of contributors. You're all invited, come and contribute your talent and show the world who you really are.